After two security alerts linked to hijackings earlier on Monday, news has emerged of further trouble in west Londonderry. In the first incident yesterday, residents homes in the Circular Road of the city’s far south-west were evacuated at around 11:30am. It was reported three masked men hijacked a Transit van and threw an object in the back before abandoning it. A controlled explosion was later carried out. Then just before 1:45pm, police got a report of a delivery driver’s vehicle being hijacked on Southway, again in the south-west, by four masked men, one of whom was believed to have a gun. The two van occupants were ordered to drive it to Lonemoor Road and leave it. 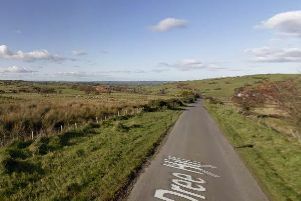 Then the PSNI said just before 9pm tonight they were “responding to a report of an abandoned vehicle on the Northland Road” in the centre-west of Londonderry – though there were no further details. Then they went on to say said “there has been an attempted hijacking of a local bus service in the area of Moss Road” in the north-west of the city.